Quite simply, it’s a machine that runs a highly refined fuel through your vehicle. This fuel burns off carbon deposits in the engine and cleans the exhaust, including the catalytic converter and O2 sensors. The theory is that over time, cars get a build up of carbon and other nasty things and by burning off these things, a vehicle’s emissions will improve dramatically. It’s like detailing for the inside of a car. Terraclean is a new way to maintain your car and improve performance and fuel economy from the fabulous scientists over in Canada, who were commissioned by the Canadian Government to develop a zero emission engine. They achieved this goal, but they also came up with a product that could improve your vehicles economy and performance too! The Terraclean fuel system decarbonisers technology works by removing excessive carbon deposits from the entire fuel system, from the injectors to the catalytic converter, including the O2 sensors. Where other systems use harsh additives and only clean half of the fuel system, Terraclean decarbonises the entire fuel system using advanced chemistry which is safe for the vehicle components, the environment and the technician. High mileage Diesel vehicles and older vehicles will benefit from Terraclean the most. Generally speaking, a minimum mileage of 50k is recommended for vehicles up to ten years old, and a minimum mileage of 20k is recommended for vehicles over ten years old. This is because these vehicles have more carbon deposits. TThe Terraclean fuel system decarbonisers technology works by removing excessive carbon deposits from the entire fuel system, from the injectors to the catalytic converter, including the O2 sensors. Where other systems use harsh additives and only clean half of the fuel system, Terraclean decarbonises the entire fuel system using advanced chemistry which is safe for the vehicle components, the environment and the technician. High mileage Petrol vehicles and older vehicles will benefit from Terraclean the most. Generally speaking, a minimum mileage of 50k is recommended for vehicles up to ten years old, and a minimum mileage of 20k is recommended for vehicles over ten years old. This is because these vehicles have more carbon deposits. EGR (Exhaust Gas Recirculation) systems and also Variable Vanes Turbos can become clogged with carbon deposits that can cause reduced power, misfiring, smoking and reduced MPG in diesel vehicles. In Variable Vanes Turbos (VNT) the carbon build up causes desired boost pressures not being met properly, causing poor air fuel ratios which increases the soot produced during combustion, so the problem accelerates itself. 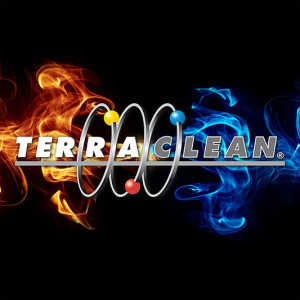 Terraclean have produced a tool that can clean the full system including the EGR, Connecting pipework, EGR Cooler and the Turbo all without the need to dismantle the engine. The tool works by applying ‘TerraDiesel EGR’ and ‘Induction System Cleaner’ into the system whilst running the engine. This unique system works to remove stubborn carbon deposits and gives your vehicle a new lease of life.